Natural gas is a clean and cost competitive fuel. As a consequence natural gas is the main fuel for industrial processes in countries that have a well developed natural gas transmission and distribution network. However, there are still many regions that do not have access to pipeline gas. Industries in these regions have so far been dependent on oil-derived fuels like fuel oil, gasoil and LPG. But, all these fuels have significant drawbacks with respect to natural gas. The increased availability and cost competitiveness of distributed LNG, now also enables these off-grid industries to have access to cost competitive natural gas. In some cases the costs of distributed LNG can even be similar to or lower than natural gas supplied by pipeline. Logistic costs are an important component of fuel supply costs. 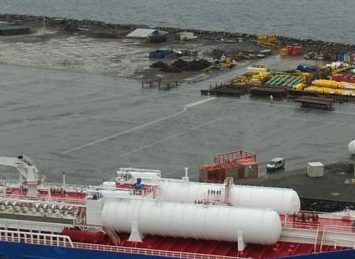 This is especially the case for LNG as transport and storage requires costly cryogenic equipment. LNG logistic costs in Europe have come down over the last few years. One reason for this is that more efficient technical solutions have been developed. 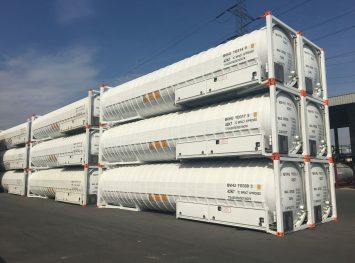 The emerging use of 40ft cryogenic ISO containers is a good example. Also the technical specifications of cryogenic equipment has improved, for example the net pay-load of cryogenic containers has increased by almost 15% over the last few years. At the same time the development of the LNG infrastructure also has a significant impact. Over the last five years truck and container loading facilities have been opened at practically all the LNG import terminals in Europe, resulting in significantly reduced transport distances. As a consequence distributed LNG can now be made cost competitive with oil derivatives throughout Europe for industrial sites that have an energy demand of more than around 5 GWh per annum. Natural gas has the lowest emission levels of all the fossil fuels. The combustion of fuel oil and gasoil causes significant emissions of SOx, NOx and Particulate Matter, LNG contains virtually no Sulfur so switch to LNG will eliminate the emissions of SOX and Particulate Matter. 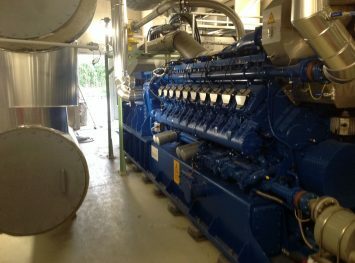 At the same time low NOx burners can be used for LNG combustion, enabling a significant reduction in NOx emissions. Finally, natural gas will also lead to a material reduction of CO2 emissions. 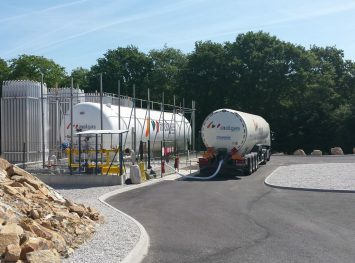 This is especially the case when bio-LNG is used. These emission benefits are of particular interest to industrial sites that are facing increasingly tight emissions regulations. The properties of LNG are particularly well suited for a variety of industrial applications. Such applications include for instance heat and steam production. Unlike LPG, which requires power derating due to its low knocking value, LNG is well suited for combined heat and power (CHP) production. Within our group we have extensive experience within many industrial sectors including for instance food production (e.g. fish, meat, diary, beer/liquor), packaging industry (e.g. EPS) as well as metals and mining. As a group we serve many industrial sites throughout Europe. Our client base is by far the most extensive and diverse in the industry.